Thank you for signing the Guest Book for George Carl Freymuth. Please take a moment to sign the Guest Book for George Carl Freymuth. Sheila, So very sorry . Kim, So sorry for your loss. 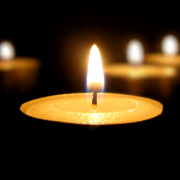 To the Freymuth Family, Our deepest sympathy for your loss. You're in our thoughts and prayers. Craig & Maureen Luck & Family. Send me a daily email when updates are made to the obituary or Condolence page for George Carl Freymuth.